You’re really going to ask me which Claytonia I think is the cutest?! I find the entire genus to be cute… It’s a really tough choice! 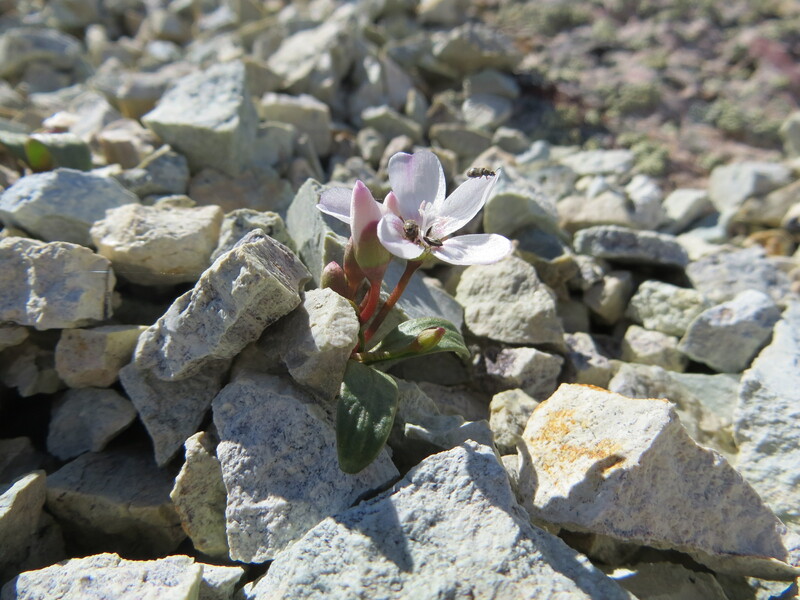 This one from the Southern Sierra is a real crowd pleaser, being found growing in talus of volcanic rocks (Tuff). 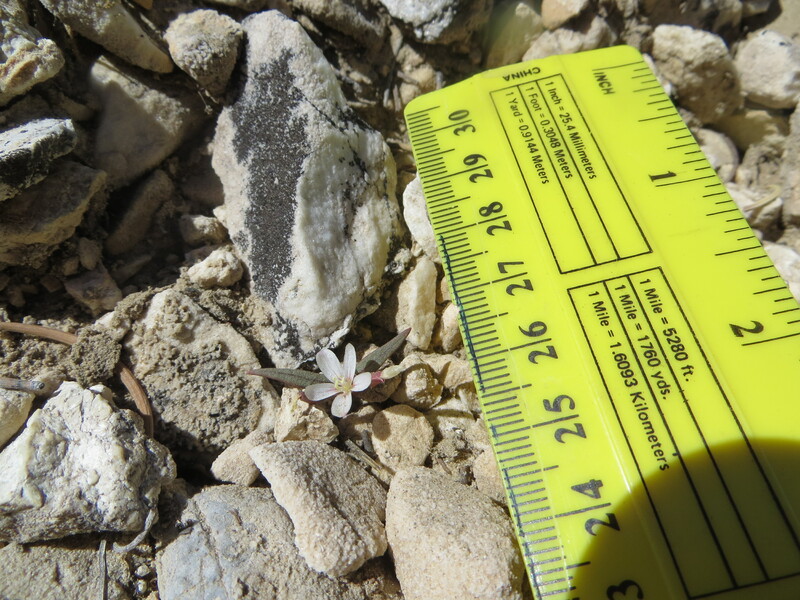 It appears to be in the C. parviflora complex (C. perfoliata sensu lato), putatively a local endemic based upon evidence from morphology and patterns in tuberous perennial Claytonia in the area. 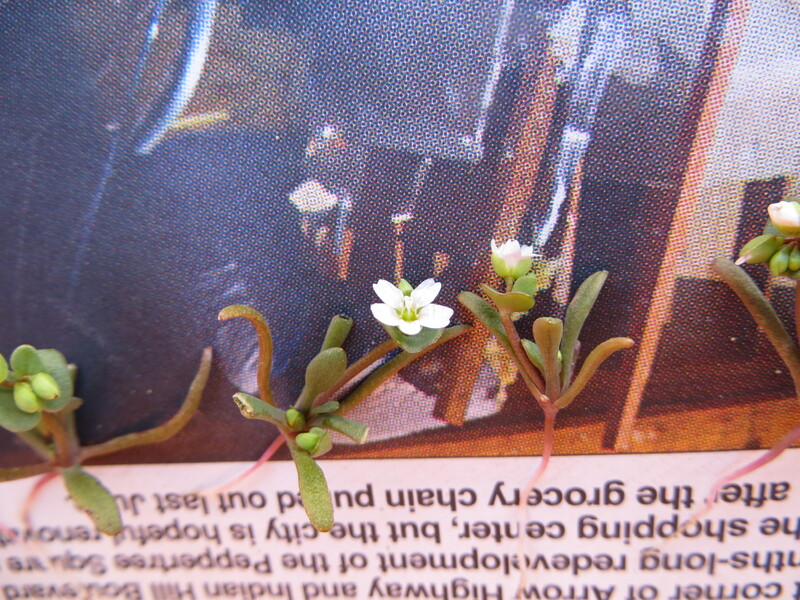 Although not my all-time favorite Claytonia, this cute little annual always makes for an entertaining photo shoot. OK, now we are talking cute here… This thing took my breath away the first time I saw it in the North Coast Ranges of northern California, where it can be found on Franciscan Graywacke (a type of sedimentary rock). Formerly treated as C. obovata Rydb., this taxon is currently treated as C. lanceolata despite its morphological dissimilarity with the latter taxon. And You’re saying this isn’t the cutest?! Why not? Well, I think this little guy was ruined for me when some hooligans decided to start shooting various guns in the air very close to where I was. It was a bit scary, and I think it spoiled the good time I was having at the time ripping these beauties out of the ground (for the sake of science, of course). Now this one absolutely has to be the cutest, right? Wrong! It is cute, oh yes, but not the cutest. This beauty is just another narrow endemic that is not currently recognized (but hopefully will be soon! )… Levels of cuteness approach the maximum score, but this little beauty (only a few centimeters tall) just isn’t the cream of the crop. 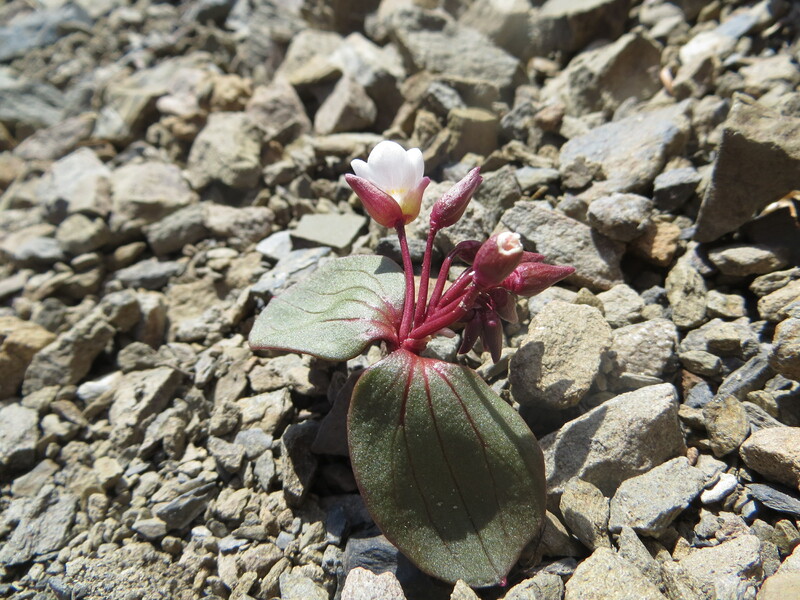 It grows in a crummy habitat (steep, loose talus of volcanic rocks), for one, and it also lives behind a locked gate in an area that is proposed for wind energy development. 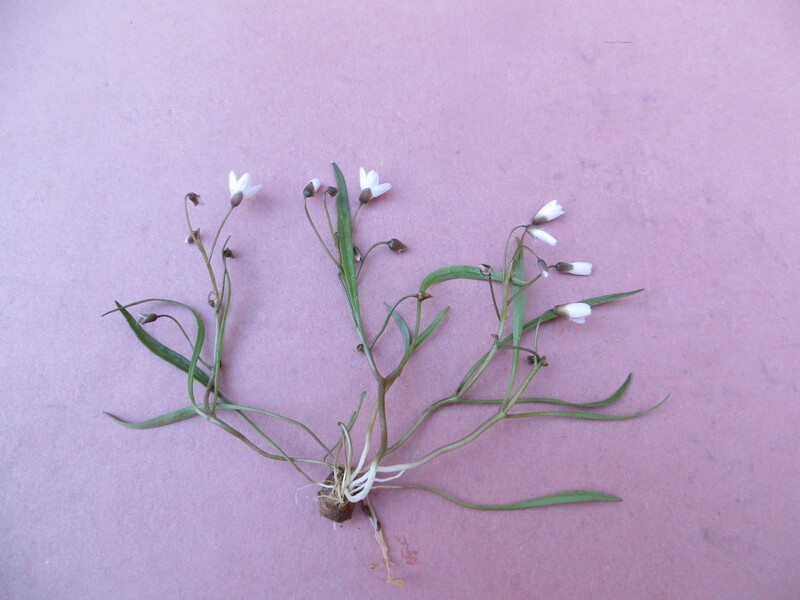 Until I find populations of this unique taxon outside of the Jawbone Canyon in the southern Sierra Nevada, it sits in the same category as the C. virginica complex because it comes with too much baggage… NEXT! Wow! What a show-stopper! Claytonia saxosa is indeed the cutest Claytonia I have seen to date, but there may just be some species out there that are even cuter than this one, including yellow and pink-flowered tuberous perennial Claytonia that I hope to see in 2014. Until then, this is the cream of the crop, king of the hill, or whatever you want to call it. It is just dang CUTE! Also growing on Franciscan Graywacke in northern California (in close sympatry with C. obovata), this annual species is said to occur on serpentine rocks as well. I’m interested to see if the serpentine plants are really the same taxon, given what patterns have been observed in the tuberous perennials, but until I can get the material I must consider it the same species across its range. I guess I’ll just have to get out there and see it elsewhere… I recommend you get out there and see it too! Anthony Peak (Mendocino National Forest) in the North Coast Ranges of California has a healthy population that is ripe and ready for photographs in the month of May. 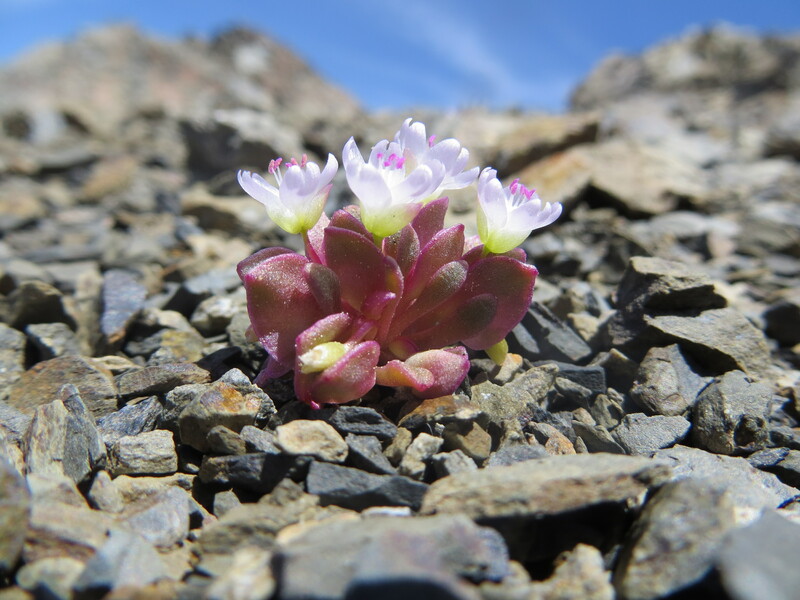 This entry was posted in Claytonia lanceolata species complex, Uncategorized and tagged beautiful, california, claytonia, Claytonia lanceolata, Claytonia obovata, Claytonia parviflora, Claytonia saxosa, Claytonia virginica, cute, flowers, pretty, Spring Beauty, wildflowers by tstou10. Bookmark the permalink.